A place filled with life, glamour, and passions made possible — Singapore proves time and time again that it is a destination for individuals from all walks of life to come together, celebrate, and indulge in endless experiences. It’s no wonder why no one ever gets tired of visiting Singapore all year round; there is no shortage of what to do, no matter what you’re into. And it’s these things which make Singapore’s tourism campaign, “Passions Made Possible”, hit so close to home, because no matter what experience you seek, you will find it, and it will never compare to anything you’ve ever had before. “Passions Made Possible”, launched midyear of 2017, initially catered to four Passion Tribes in particular: the Foodies who are out for the best eats around the world, the Collectors who splurge on shopping, the Explorers who enjoy discovering new places and spaces, and the Progressors, or business travelers who seek to connect and collaborate. This time, on the second wave of their campaign, they’re shifting their focus to tapping visitors who are motivated by cultural experiences and adventure: the Culture Shapers, who immerse themselves in art, the Action Seekers, who crave the adrenaline rush, and the Socialisers, who revel in the energy of Singapore’s nightlife and music scene. 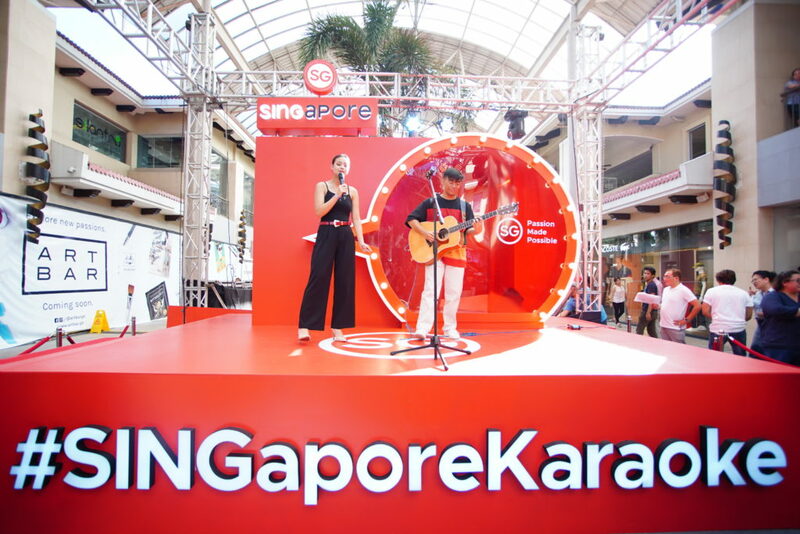 In Singapore’s effort to attract the Socialisers, they have rolled out the SINGapore Karaoke Booth which lets any brave soul get a chance to win an all-expense-paid trip for two to Singapore by singing their hearts out to a song of their choice. Running from October 19 to 21 at the Cortes De Las Palmas in Alabang Town Center, the SINGapore Karaoke Booth is open to the public and features songs by both local and international artists who have performed or will be performing in Singapore including Coldplay, Up Dharma Down, Britney Spears, and Bruno Mars. A surprise bonus prize also awaits those who choose a song from a mystery artist: a pair of tickets to the 2019 Formula One Singapore Grand Prix where you can catch the biggest music performers from all over the world. Local performers will also grace the three-day event to serenade the crowd onstage and inside the karaoke booth. Fans of Donny and Hannah Pangilinan, Dane Hipolito and Kali Vidanes, and Up Dharma Down should come on down and watch them live in an intimate setting. Don’t miss this opportunity to indulge in the exciting world-class music and entertainment scene of Singapore first-hand! For more information, visit stb.gov.sg and visitsingapore.com. 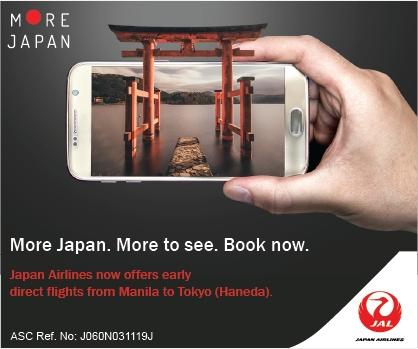 Are you going to take this chance to win free roundtrip tickets? Tag your friends in the comments section below!